South African-based Nedbank Group Ltd. (NED) has reaffirmed its commitment their partnership with Ecobank Transnational Inc. (ETI) following the sale of 12.5% Ecobank stake to Qatar National Bank (QNB) on September 4. The South African lender, which is controlled by Old Mutual Plc, formed a partnership with Ecobank in 2008 and has until November 25 2014 to convert a USD 285 million loan to Ecobank into an equity holding and increase their stake to as much as 20%. QNB has since announced the acquisition of an additional 11% stake in Ecobank, bringing its total stake in the leading pan-African bank to 23.5% at a cost of USD 283 million. 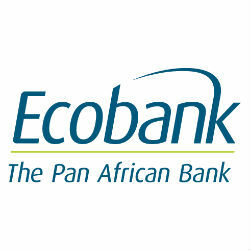 According to Jaap Meijer, an analyst at Arqaam Capital in Dubai, there will likely be a battle for majority stake in Ecobank.